Florida faces major challenges with our water supply and in getting our diverse and ever-changing population to conserve water. People want to do the right thing but may not know the right things to do. Audubon Florida’s new program, Water for Florida’s Future, is designed to help them learn. Water for Florida’s Future will help educate people about water and energy conservation: why conservation matters and how they can take practical, individual steps to save water and energy. 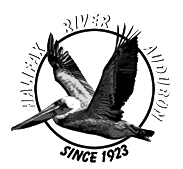 Audubon needs volunteers to become “Water Messengers” for community outreach. Water Messengers will receive training to deliver programs in our communities to help broaden Audubon’s audience of individuals, businesses and organizations that care about our future. Although the project focuses on Orange, Osceola, Pasco and Pinellas Counties, volunteers who can travel to training locations are welcome (and encouraged) to attend. Training is free, but participants are asked to register. July 12 in Tarpon Springs. Please download the fliers for more information. Water will be Audubon Florida’s major focus for the coming fiscal year. The program is made possible through a grant from Duke Energy.